During water cooler conversations, employees invariably discuss the dreaded HR. HR professionals often become the focal point of any office gossip and that is because of a number of reasons. You probably did not grant leaves to someone but gave away an entire vacation to someone else. You probably appraised someone positively and gave negative feedback to someone else. You might have recruited one employee's referral but rejected another's. All these lead to gossips that fly around every nook and corner of an office, often resulting in detrimental effects. One of those effects is lack of motivation to work productively because of perceived negative appraisals. There is a reason why you should automate appraisals. Your HRMS can be customized to send out automated appraisals to employees based on their performance. You could add a note or personalize the appraisal with a face to face meeting but automating it ensures that appraisals are given regularly. No employee likes to feel ignored or forgotten. 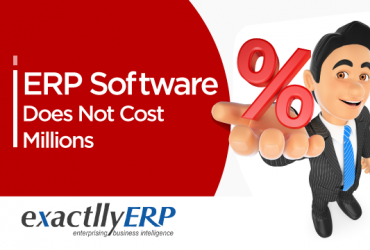 Automating appraisal system with an HRMS will ensure that nobody on your payroll is forgotten. This will boost your employees' motivation and they will likely work more than talk or gossip in the corridors of your office. While appraisals are done at a scheduled space of time, regular feedbacks can be given based on the analytics that your HRMS provides. If an employee has been logging in for fewer hours and you see this to be a pattern thanks to the information that your leave management system in the HRMS provides, you could remind the employee to be at work as this would reflect on his or her appraisals. This will likely stop the offending behavior. You could similarly provide positive feedback if an employee finished certain training modules, which too can be automated using an HRMS. 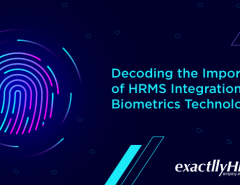 While automating all HR functions is great, it is also an opportunity to get to know your employees personally. 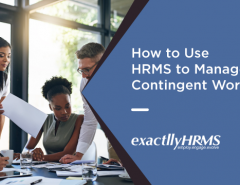 HRMS frees your time and resources so that you can devote your time to more important tasks, which certainly includes getting to your employees well. You can spend time on the floor and speak to every employee and find out how they are doing. This will help you to build a rapport with them and that motivates them to work harder. 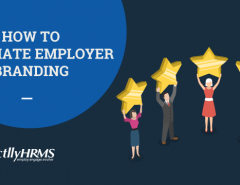 An HRMS is designed to make your job easier, which to begin with was to ensure that employees are motivated and happy with what they are doing. Timely appraisals will not only motivate your employees but will also reduce the gossips that spread around the cabins. It is important to provide an honest appraisal in a timely fashion and ensure that it is constructive. While you may not be able to stop people from talking about you or your colleagues, you could certainly motivate those employees to work harder. After all, there is nothing wrong with a little office gossiping anyway! 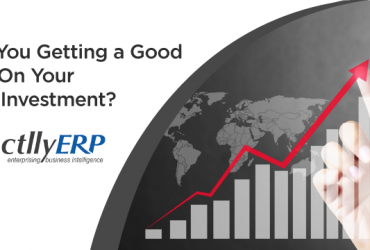 Next Article Are You Getting a Good ROI On Your ERP Investment?